The photos really don't do this piece justice because when this is placed in a display cabinet with a light shining on it from above it glows a bright reddish-pink color and looks absolutely beautiful! 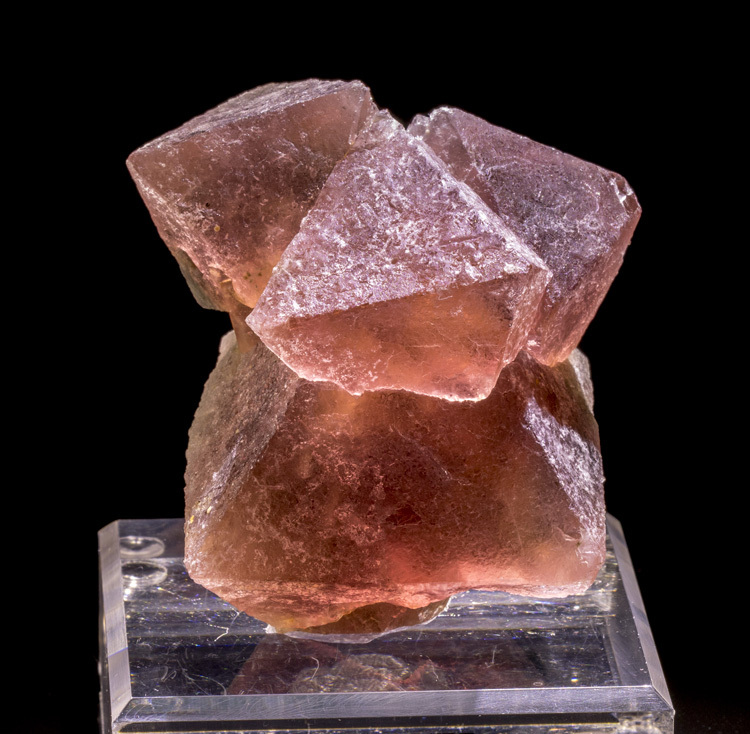 What we have is a very unique and aesthetic cluster of 4 fluorite octahedrons. 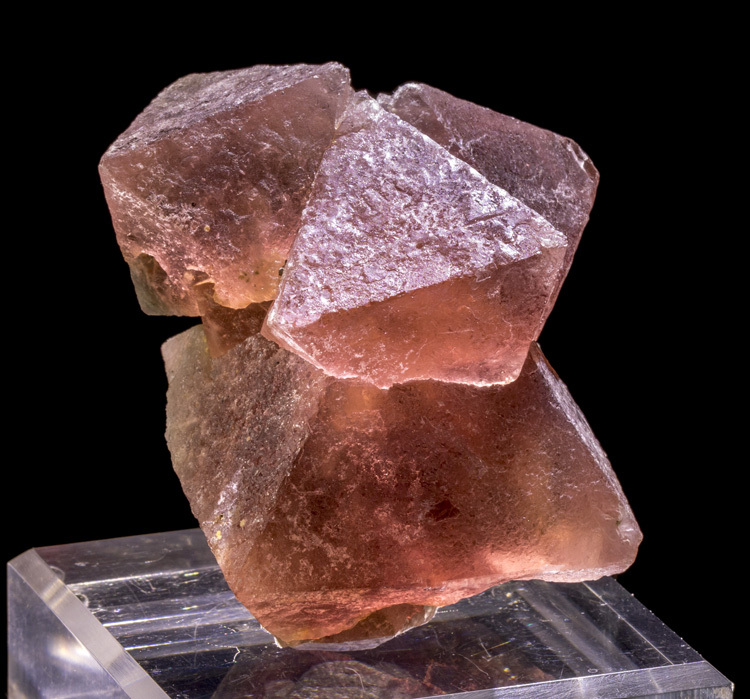 The largest crystal measures a whopping 8cm from tip to tip! 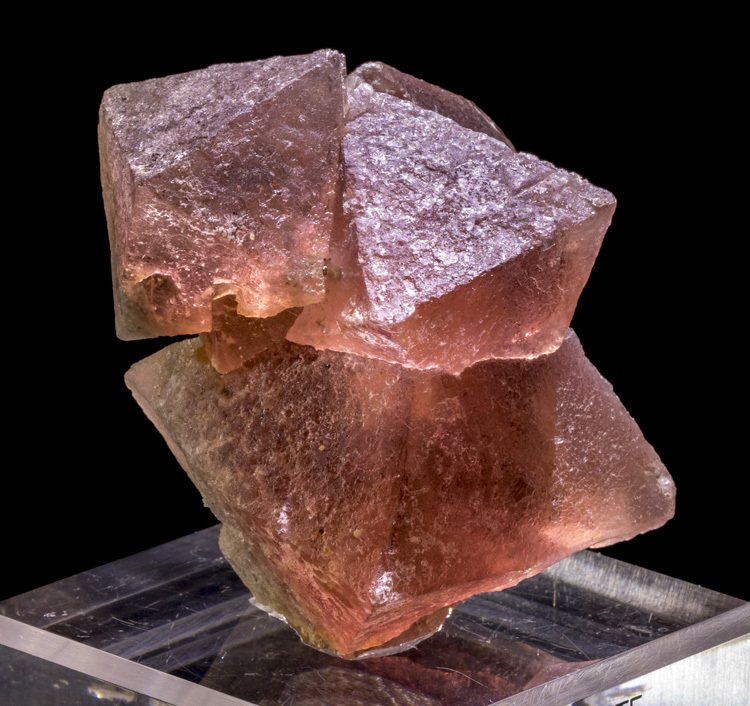 The color is very well saturated, and it is best described as either a hot-pink or reddish-pink. 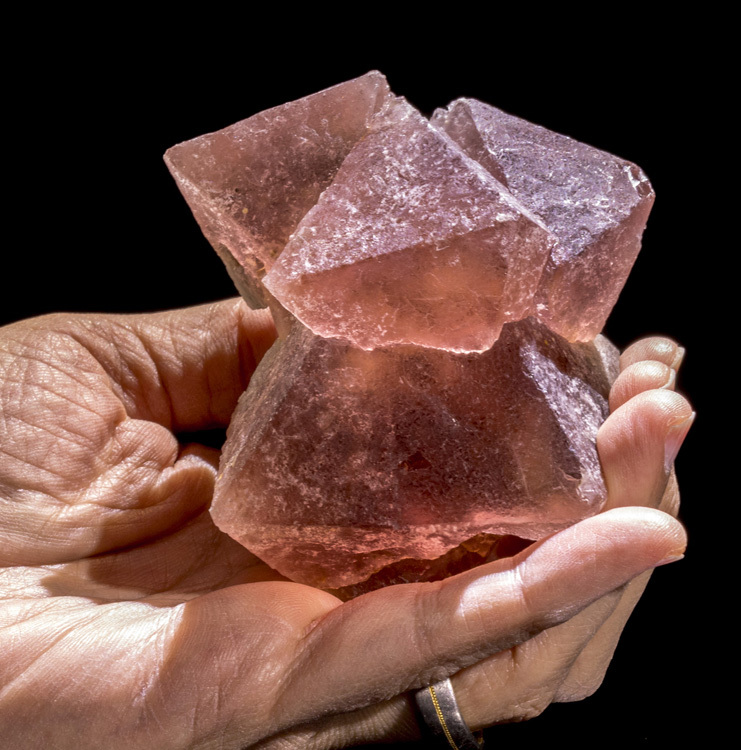 The color varies depending on the source light color. 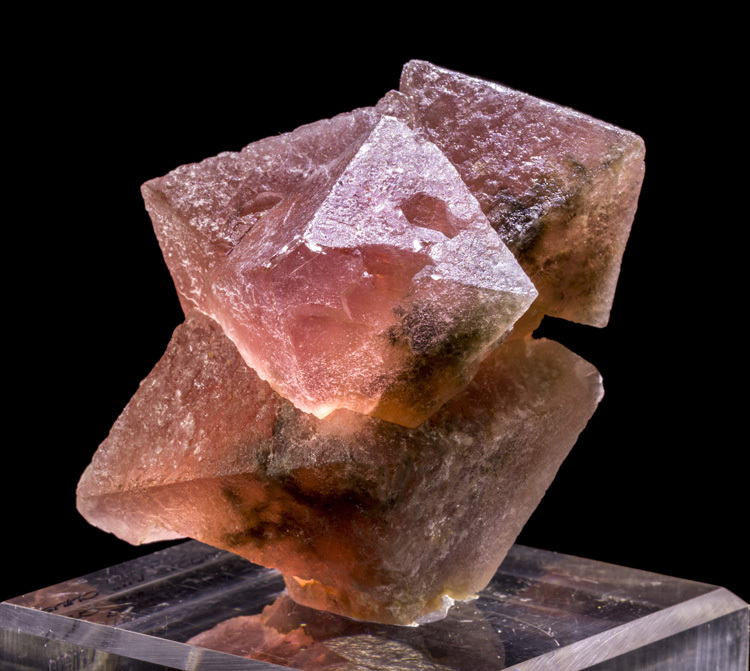 The interior of the fluorite crystals appears to be very gemmy and clear. 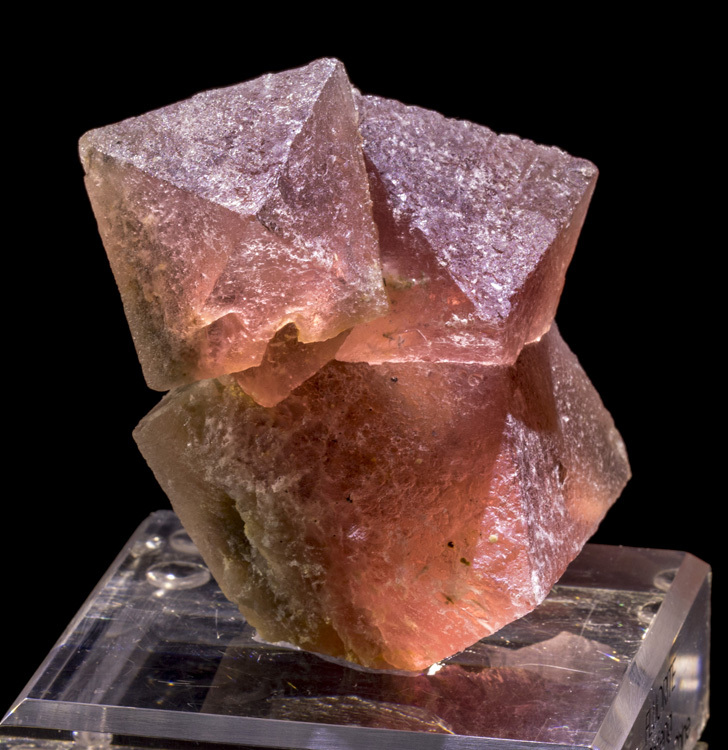 The surface is typical of most red fluorites in that it has a rough texture. 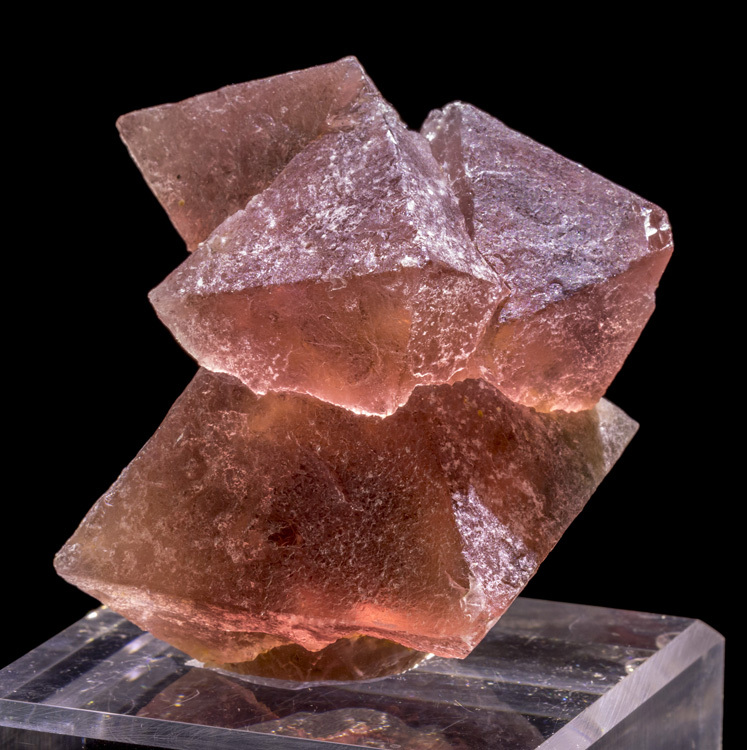 There doesn't appear to be any damage to the piece, just natural etching and few areas where it appears other contacted crystals once grew. 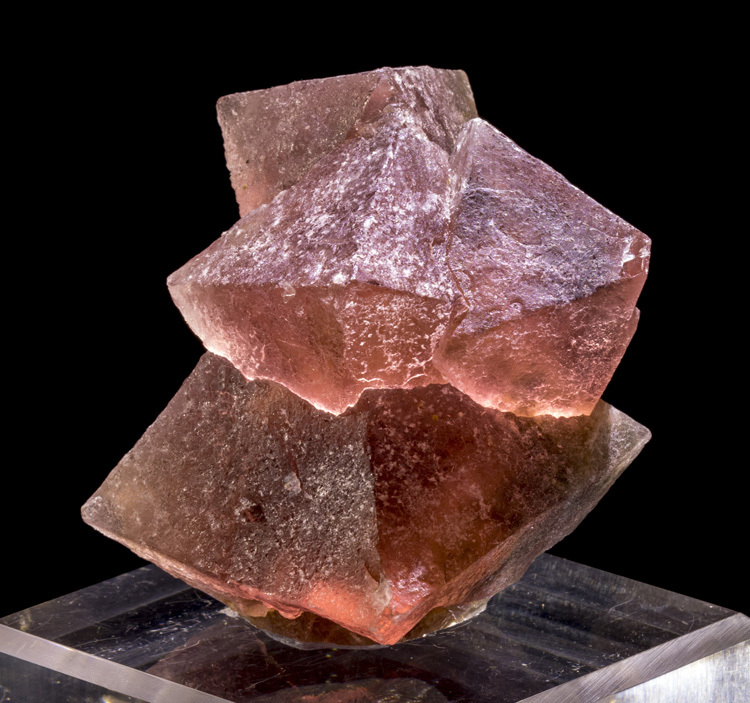 The large crystal actually has part of a malformed 5th octahedron on its bottom tip which also shows crystal growth stepping, but this is really only visible if you remove the specimen from the base to see it. 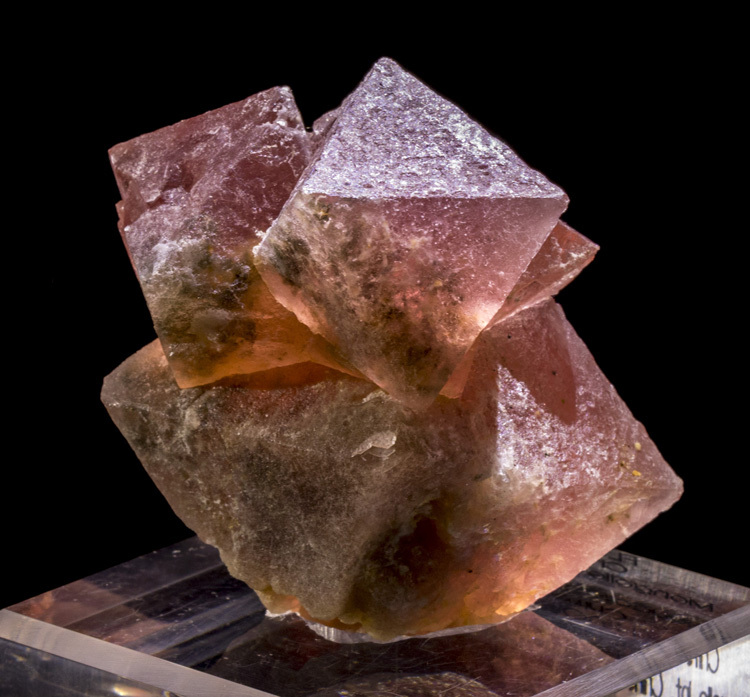 In all, this is an incredible find, and one of the best Chinese pink fluorite specimens we've seen. 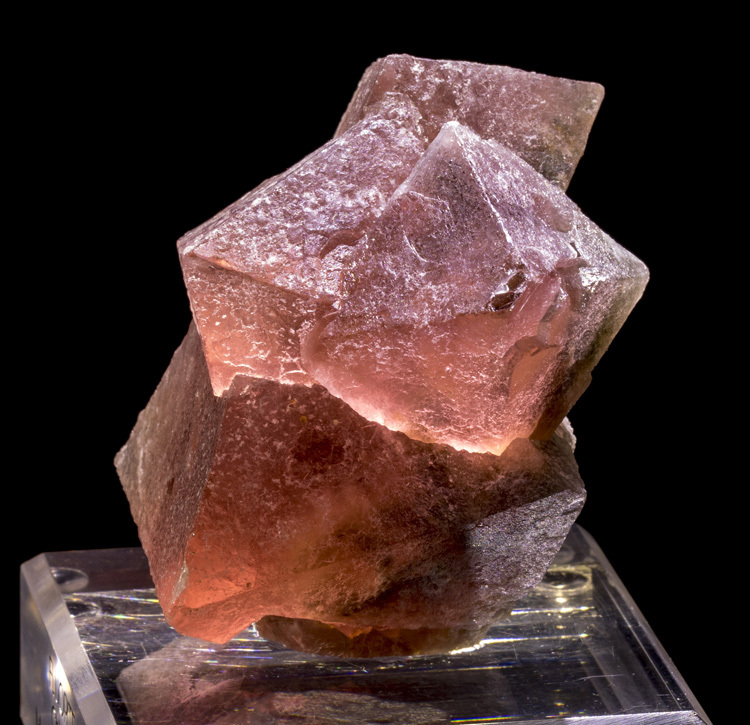 This incredible specimen comes with a custom acrylic display base.